The Falls Trail in Ricketts Glen State Park draws tens of thousands of visitors each year to marvel at its 20+ waterfalls. 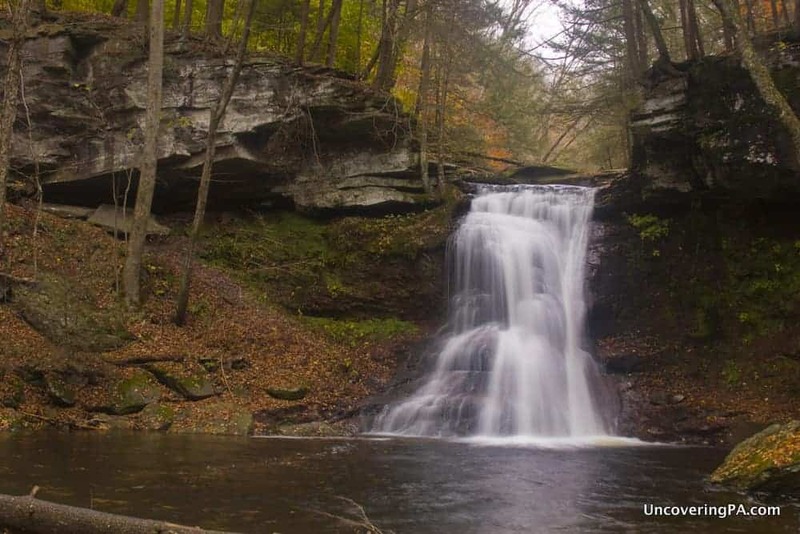 However, just a few miles away there is another waterfall paradise that few even realize exists: State Game Lands 13. 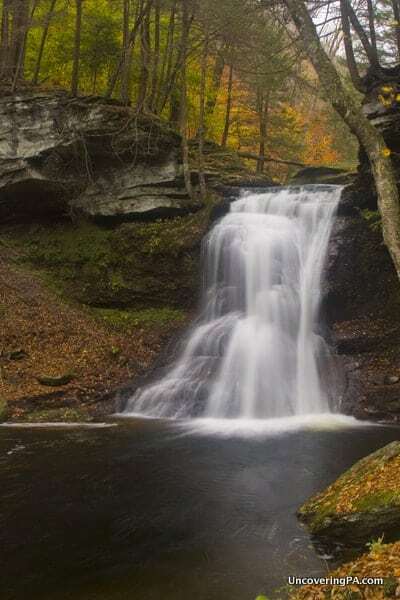 Home to more than 20 waterfalls, State Game Lands 13 in Sullivan County sees very few visitors because most of its waterfalls are hidden deep in the forested hills of the game lands, away from roads and even maintained trails. 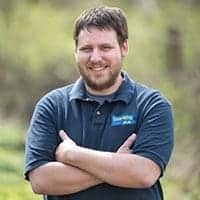 However, for those looking for something different, without having to venture too far off the beaten path, State Game Lands 13 is home to two waterfalls that are certainly worth visiting. Sullivan Falls is beautiful even during periods of low water. 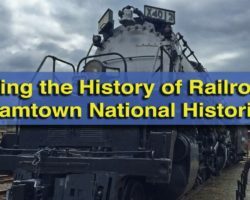 The first of these is Sullivan Falls. Hidden away just a couple hundred yards down an unmarked trail, Sullivan Falls is quite impressive, even after completing the Falls Trail at Ricketts Glen. The only indicator that a waterfall is beyond the tree line is a single sign hung high in a tree that reads “No Swimming.” Otherwise, there is only the sound of falling water, so faint that you could easily mistake it for a breeze through the trees, to tell you of the waterfall just a two-minute walk away. Sullivan Falls is located in a large circular hollow in the woods, and the setting of this waterfall makes it easily one of the most impressive waterfalls in Pennsylvania. 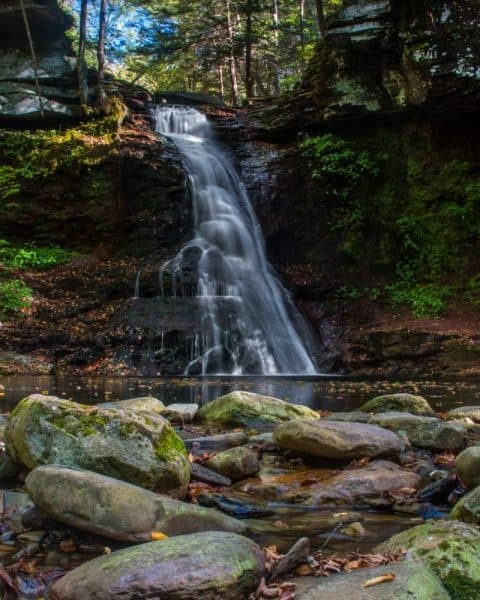 At roughly 30-35 feet tall, Sullivan Falls is just as imposing as many of the waterfalls in Ricketts Glen, but the wooded setting and lack of crowds makes it feel much more peaceful. When hiking to Sullivan Falls, the trail will take you to the top of the waterfall, with a great view of the cascading water below. However, if you want to get to the bottom of the waterfall, that’s a much more difficult proposition given the steepness of the hill. If you’re like me, though, a view from the top just isn’t enough. Sullivan Falls in State Game Lands 13. Just to the left of where the path dead ends into the hollow, there is a very narrow and very steep path down to the base of Sullivan Falls. If you opt to use this path, use extreme caution as it is quite difficult to traverse the steep slope down the hill, and the ascent is even more challenging. As with any waterfall, it’s very important to know your limits and to use extreme caution when near a steep hill or a drop off. From the bottom of the hollow, you can get a much better feel for the size and power of Sullivan Falls. The large pool of water at its base drains through a small creek at the end of the hollow, almost making this section of Sullivan Run look like a balloon. Overall, Sullivan Falls struck me as ridiculously beautiful, even though I’d already seen more than 20 waterfalls on the day I visited. 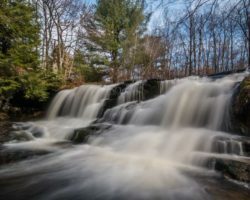 Just like Adams Falls in Ricketts Glen State Park, this is a great waterfall for those that don’t have the time or skill level to do the 7-mile Falls Trails in the park. 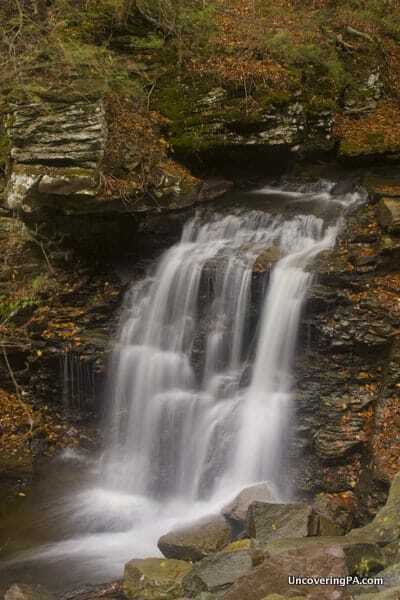 If you are driving in from Ricketts Glen State Park, keep an eye to your right for Big Run Falls. While this 15-foot waterfall isn’t nearly as impressive as Sullivan Falls, it’s right next to the road and makes a great place to stop when visiting the game lands. Big Run Falls is a nice little roadside waterfall in State Game Lands 13. Sullivan Falls in State Game Lands 13 is accessed from Jamison City Road, also known as Sullivan Falls Road in some sources, which is only about 100 yards up Route 487 from the main entrance to Ricketts Glen State Park in Sullivan County, Pennsylvania. 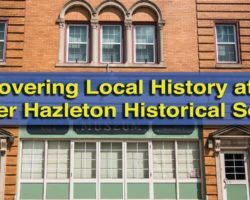 The parking area for the falls is the first reasonable sized parking area you’ll come to when heading downhill from Route 487 and Ricketts Glen. 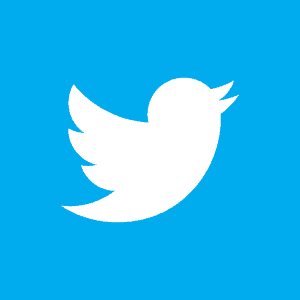 It is located 2.1 miles from Route 487, at approximately these GPS coordinates: 41.335133, -76.338967. Note the Jamison City Road is a dirt road with no winter maintenance. If there is any chance of snow or ice on the road, it may be best to avoid this waterfall until it’s warmer. From the Sullivan Falls parking area, follow the obvious, but unmarked trail at the back of the parking area for around 2-3 minutes until you reach the top of the hollow created by Sullivan Falls. The parking area for Sullivan Falls in State Game Lands 13. 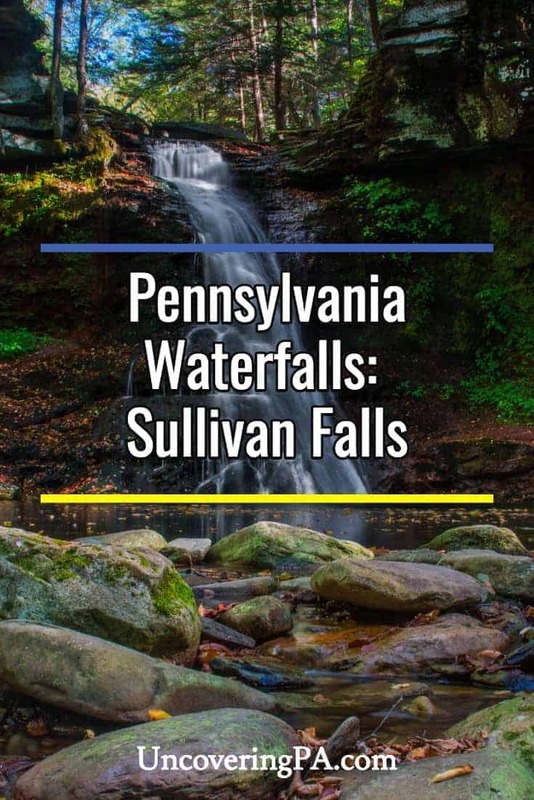 As you are driving to Sullivan Falls from Route 487, you’ll pass Big Run Falls about a quarter-mile before the parking area for Sullivan Falls. There is a small pull-off near the top of the falls, or you can walk the short distance up the road from the Sullivan Falls Parking area. 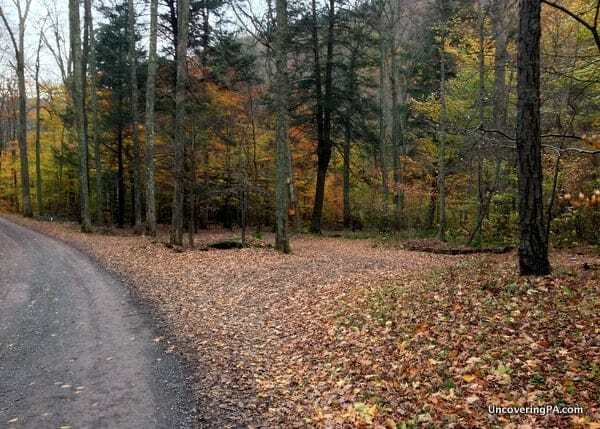 Should you have an interest in exploring State Game Lands 13 further, be aware that it is a very difficult and dangerous hike, far from roads and trails. 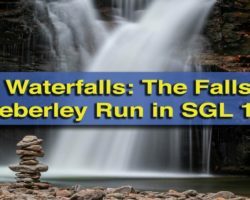 If that excites you rather than deters you, read our piece about the three waterfalls on Heberly Run or check out Jeff Mitchell’s detailed guide in his book, “Hiking the Endless Mountains,” (Affiliate link) or check out this good, but less detailed guide from MidAtlanticHikes.com. Note that overnight camping is not allowed on state game lands, but there is a great campground at nearby Ricketts Glen State Park. 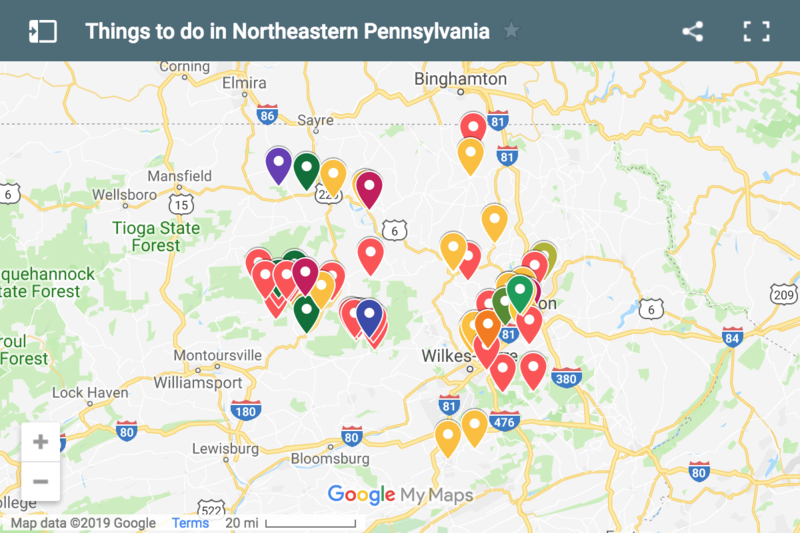 And, if you want to see even more waterfalls in Pennsylvania, check out our Pennsylvania Waterfalls page. We visited Sullivan Falls this week. The road is now named Sullivan Falls Rd. Beautiful! It was following a good rain so the pool was at its deepest. We also met a local who guided us to the other nearby falls. Giant Falls, Twin Falls (good diving there!) and Louis Falls. Louis is impressive at 50 feet plus, but there was no obvious trail to climb back up after a jump. I have a seasonal place in Sullivan county, so we plan to return and scout the pools and perhaps take the plunge off the bigger falls next summer. I’m also proud to say that we have perhaps the best swimming hole on Elk creek, and our own modest waterfall (20 feet, 50 foot + ravine, no pool) at the back of the property. The wilds of Pennsylvania are truly as beautiful as anywhere in the nation!